Prices are rising, lenders aren't lending and wages are stalling. Prices are rising, lenders aren't lending and wages are stalling. In short what this means is that would be empty nesters have their chicks hanging around a lot longer than they used to. Grown up children either not moving out or, even worse, moving back in to the family home in their droves is a new fact of life many parents have started to resign themselves to. However, according to New Forest Log Cabins there is a new trend emerging giving hope to mums and dads across the country. Some of those with a sizable enough garden are investing in wooden buildings, from log cabins to summerhouses, in which their offspring can live and, more importantly, store their numerous belongings. Offering a much cheaper alternative to a traditional house, and having the added benefit that it can add value to a property, prefabricated log cabins come in all shapes and sizes to suit a range of budgets. Over the past 2 years we have seen a rise in the number of parents enquiring about a Log Cabin for their son or daughter and more recently with concerns about aging parents moving into a Granny Annex at the bottom of the garden. John Rudd, Sales Director of New Forest Log Cabins comments; "First time buyers are struggling to save for deposits at the moment, but at the same time the deposits that lenders are asking for have shot up. Parents are seeing the addition of a log building or cabin in their garden as a way of solving the problem of too many people living under one roof whilst also adding value to their home. "With the best will in the world thousands of pounds is a lot to pay out for a deposit on behalf of a child and this way parents do get a return on their investment. 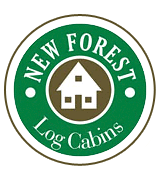 For more information about New Forest Log Cabins call us on 01202 888108 or visit us online on www.newforestlogcabins.co.uk.